I’m curious to know who made it to the end of A Girl of the Limberlost? Did you enjoy it? I’ll be honest – it wasn’t what I expected, but I did enjoy it and was glad I saw it through the end. What you are lies with you. If you are lazy, and accept your lot, you may live in it. If you are willing to work, you can write your name anywhere you choose, among the only ones who live past the grave in this world – the people who write books that help, make exquisite music, carve statues, paint pictures, and work for others. However, that isn’t what I took away from the book. 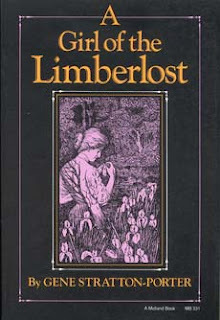 I enjoyed it for the author’s outlook on nature and how it was so much a part of Elinora’s life. She marveled in the hand of the Creator, studying the flora, fauna, and wildlife around her with a great appreciation for the variety and intricacies she found. Because of her study of nature, she was able to use that as a way to earn money to provide for herself and continue her education, and eventually share that love of nature with others. This is the kind of lifestyle of learning I want to pass on to my children! Exploring the world around us and seeing how God has so orchestrated the details of every living thing. That thread, woven throughout the book, was inspiring to me. Ain’t it queer that she’d take to stones, bugs, and butterflies, and save them. Now they are going to bring her the very thing she wants the worst. Lord, but this is a funny world when you get to studying! Looks like things didn’t all come by accident. Looks as if there was a plan back of it, and somebody driving that knows the road, and how to handle the lines. The title of your choosing from The Chronicles of Narnia series by C.S. Lewis. 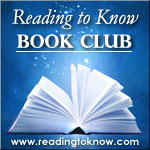 Next month's book club will be held in conjunction with the Chronicles of Narnia Reading Challenge. Further up and further in! Thanks for the challenge, Carrie and Stephanie! I had wanted to read Freckles for a long time! I haven't finished the whole book, but I posted some thoughts anyway. I enjoyed the nature aspect, too, but I couldn't get over moths being worth so much! As a homeschooling mom who has more than a hint of Charlotte Mason flavor to my philosophy, I also very much appreciated the focus on both nature and self-directed learning. I thought there were lots of themes that would be interesting to explore with a friend. Lots of good stuff in there. Thanks for recommending it for book club! *ahem* I'm late, but I still did it!